Nelson Ireson April 20, 2012 Comment Now! Hey, that's one fancy Civic there! 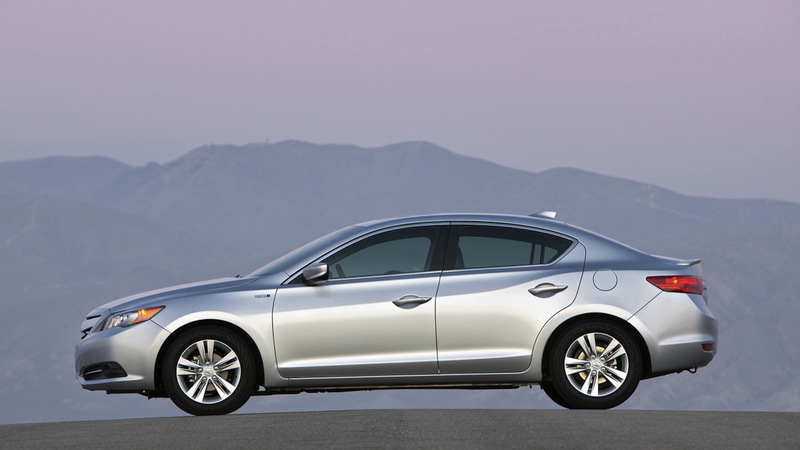 Calling the 2013 Acura ILX a gussied-up Civic is, in many ways, completely fair, but in truth, Acura has come up with a mix of near-luxury style and feel crossed with a sporty-ish sensibility that is almost completely missing from the market at the moment, and that may be where it finds its success. In the late-1980s through the mid-1990, small, sporty mostly-luxury sedans were pretty common items--from the BMW 3-Series (particularly in the E30 generation) to the Volvo S40 to even Acura's own Legend and Vigor, and of course the Integra and RSX. While the lower end of this sport-sedan spectra never really rose into full luxury status, it nevertheless pleased many buyers--especially younger buyers looking to move up from their parent's hand-me-downs without going the econo-box route. Today, however, there's a dearth of sport in the entry-luxury segment, and even cars that used to be small and light are no longer either; BMW's 1-Series has perhaps the best claim to that mantle, and even the starter-model 128i weighs in at a slightly porky 3,208 pounds, measures 14 feet 4 inches long, and claims nearly six feet of lane width--without the mirrors. The ILX is actually a tick longer and wider than the 1-Series--about two inches in either direction--but it weights in at just 2,910 pounds--a 300-pound savings. Despite lacking a punchy inline six-cylinder (much less a stout turbo version) the ILX generates a slightly-frenetic 201 horsepower and 170 pound-feet of torque in 2.4-liter guise. The standard 2.0-liter model rates a more meager 150 horsepower and 140 pound-feet of torque, while the hybrid checks in at just 111 horsepower and 127 pound-feet. But it's not all about power these days, even when it comes to sporty cars. Take Scion's FR-S, for example: it weighs about 200 pounds less but generates the same power as the ILX 2.4-liter. Sure, like the 1-Series, it delivers its power through the rear wheels instead of the front, but even so, there's a lot to be said for cars that are light yet just powerful enough to be fun and engaging. Unfortunately, the math comes to a screeching halt once you're behind the wheel of the ILX. Like the Civic-in-a-fancy-dress jokes indicate, this really is just the new Civic Si's powertrain we're dealing with, and it shows. Gone is the truly zingy, free-revving, and somewhat temperamental feel of the previous Civic Si's zippy 2.0-liter. Instead, there's a 2.4-liter engine that's more tractable, delivering better torque down low with less of a VTEC crossover point, and about the same horsepower rating, but the delivery is just much less exciting. Even running the close-ratio six-speed manual (the only transmission available with the 2.4-liter model) to red line through the first four gears, there's just something…missing. It's got spirit, but no soul. That's not to say it's not a fun car, still. The slightly too-soft suspension takes the road's imperfections with aplomb, but fails to delivery in the twistier stretches like you'd hope it would. The steering is a bit vague and heavy at freeway speeds, growing too-light and almost completely numb at lower speeds. But despite these concessions to what most will find more palatable on a daily basis, the ILX will deliver a grin on the occasional quick on-ramp or off-ramp. It just won't goad you into the canyons come Saturday. The two other versions of the ILX--the 2.0-liter and the Hybrid) offer somewhat less (2.0-liter) or markedly less (Hybrid) performance, with essentially identical feel otherwise. The 2.0-liter is actually fun to drive despite its relatively wimpy power ratings, due in part to the sheer pep and personality of the smaller engine. The Hybrid, on the other hand, while competent to get through traffic, is almost painfully slow and hesitant to accelerate--slow enough to be a bit unnerving when having to pull out onto a busy suburban throughway. 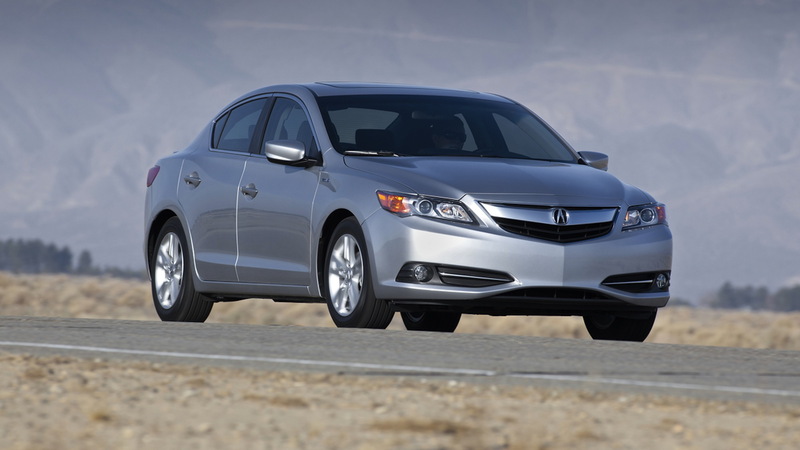 For all of the laggardly performance, however, the ILX only ekes out an EPA rating of 35/38 mpg--better than the 24/32 mpg of the 2.0-liter or the 20/29 mpg of the 2.4-liter, but not seriously impressive in any duel with other similarly-sized hybrids. Inside, the ILX is actually quite nice. Materials are on par with the rest of the Acura range, or at least the mid-segment stuff, meaning decent leathers, sturdy and durable-seeming plastics, and generally impressive fit and finish. It's a quiet place, too, though not quite so quiet as the studio-like RDX. A dash of wind and road noise seeps in, but never rises to objectionable levels. The seats are very comfortable, though perhaps a touch too soft for those more used to true sports cars and sports sedans. The seating position, steering wheel shape, and shifter positioning are all very good, too, and the manual shifter's precise, if somewhat longish throws do nothing to discourage an extra downshift or two for fun's sake. 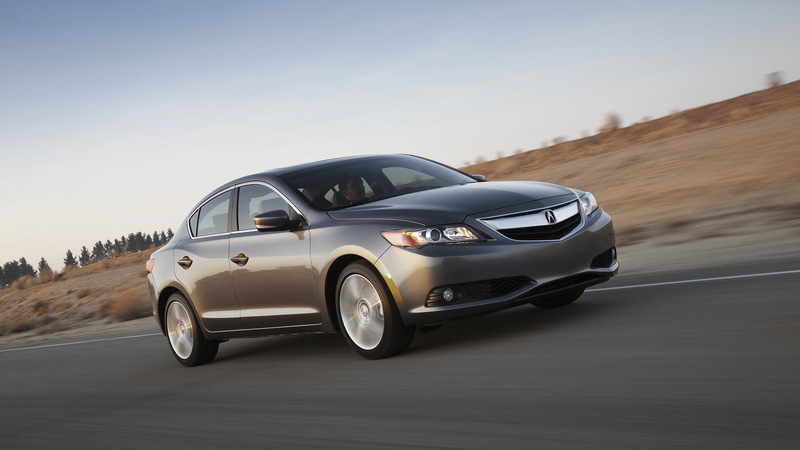 But if you opt for the sportiest of ILX models, the 2.4-liter, you'll have to forego navigation. Why? Because Acura says the vast majority (something like 95 percent) of all buyers that opt for a manual transmission in their cars turn down the navigation upgrade. That's a shame, because the system that's available in the 2.0-liter and the hybrid is actually quite good once you're used to it. And it's a great value as part of the Technology Package. At the end of the day with the ILX, we were left impressed with what Acura is offering for the price (the 2.4-liter model starts from $29,200--about $2,000 cheaper than the 1-Series, and as little as $25,900 for the base 2.0-liter model), but underwhelmed by what was almost-but-not-quite achieved with the suspension and performance tuning, and simply flummoxed by some of the options and packaging decisions. 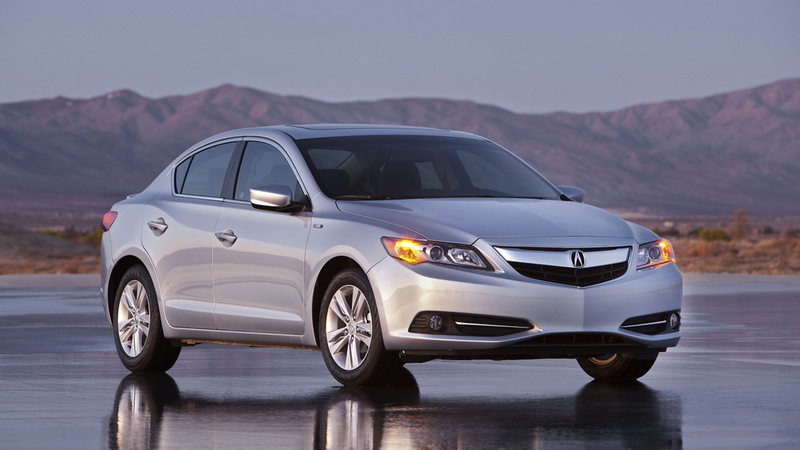 If we had to choose an ILX for our own garage, it would be the 2.0-liter model, simply because it costs exactly the same as the 2.4-liter model once loaded up with the Technology Package and delivers 95 percent of the fun with better gas mileage. The Hybrid delivers improved gas mileage, but does so at the cost of any sense of fun or spirit while driving, even dipping a toe in the slightly-too-slow-for-comfort pool. 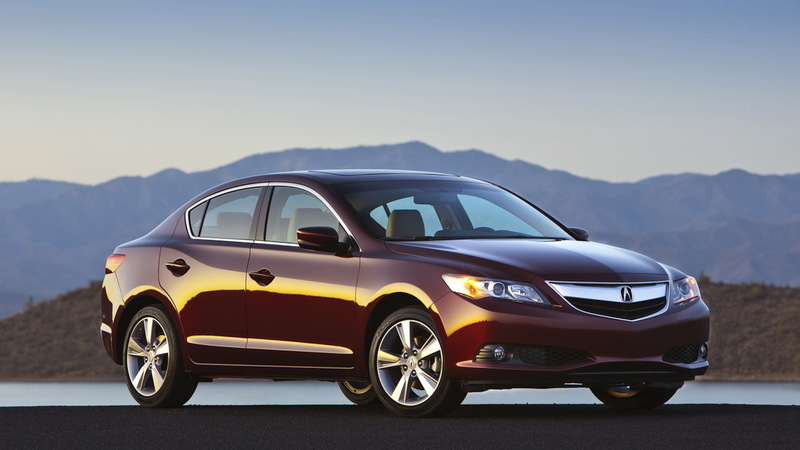 So has Acura hit that sweet spot that's been missing for most of a decade? Not quite, but it's very close.